3 x 15 1/2 x 12 in. 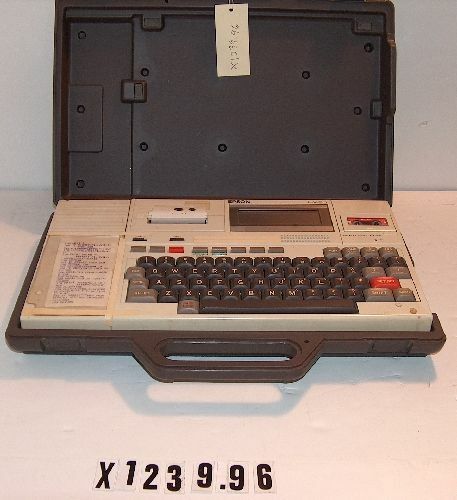 Object is a small computer with integral LCD display and paper tape printer, in a fitted brown plastic case. BASIC software. Microcasette drive. Plastic sleeve attached to left side of face with tape, containing a program listing.